Articulation Index calculator w/ binaural capability on CD-ROM. A graphical user interface featuring point-and-click calculation of the Fletcher and Galt AI. 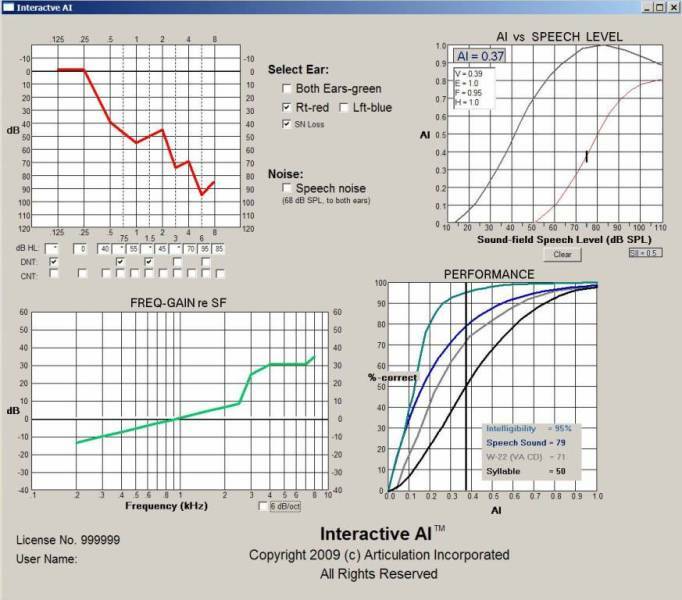 Designed for audiology researchers and clinicians, and others interested in predicting speech intelligibility. For no additional charge, we will customize the AI software to accommodate your specific application. Click here for more information.